See which of your friends and family are making my blog look GOOD! Keep up with my current projects, professional & personal, on the blog. Merri Poppins is "off" this week, busy whipping up more custom order outfits you all commissioned after seeing her handy work in last week's post! This week, you're stuck with an outfit sewn by yours truly - my first foray into children's clothes. Be kind :) The master herself will be back next week with an adorable new design to share! Goodbye boring denim! This Spring, print shorts are IN. The bolder the better! Check the looks on the runway, and those in the Women's, Girl's and Toddler's section of local stores. I used the Nina Bonita "Paper Bag Shorts" pattern. For K's shorts, I stuck with the trending "Carnival" color scheme. I love the berry and orange color combination! I've paired them here with another hot Spring/Summer style: the Crop Jacket. The bell sleeves and ruffle collar doll up an otherwise mature fashion trend. That's right! Moms and older girls are encouraged to rock the crop jacket too! How about you? Will you be sporting either of these trends this Spring? Don't act like you're not impressed. Hi there! I'm Becca: a wife, momma, and serial-crafter juggling a fancy camera, sewing machine, and preschool drop-off. Here you'll find the latest in my sewing exploits, portraiture projects, and family adventures! 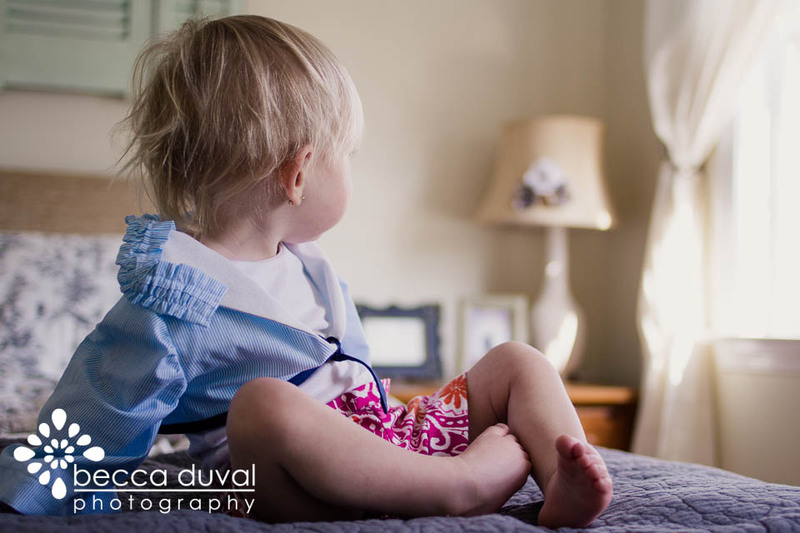 I'm a lifestyle photographer based in RVA, specializing in Couple, Maternity, Children, & Family photography. I'm paying for my hobby and hoping to make friends along the way. Contact me for availability!